In March 2003, I went to the Dominican Republic on a missions trip with my high school. 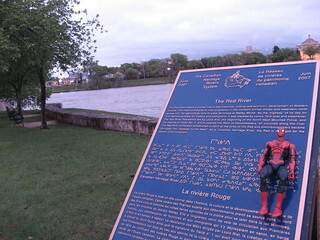 That May, I went to Kelowna for my first Historymaker, "Dream." In October 2012, I went to Romania on a missions trip with my church. This May I went to Chilliwack for Historymaker 2013, "The Cause." Teenagers have too much energy. And they are loud. I also really love the kids at my church. 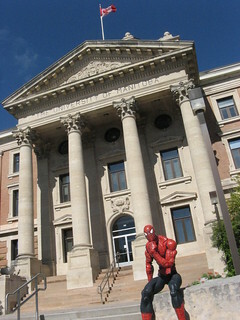 At the beginning of this month, I went to Winnipeg for about two days to catch up with friends and attend a wedding. It was kickbuttocks. 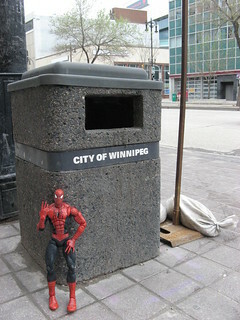 Winnipeg is a nice city, but it's hard to compare it to Vancouver, no offense "Friendly Manitoba." Westjet is a decent airline carrier and I approve of the Canuck jab/trash talk the steward made over the intercom during the safety instructions. I had a good chat with that man and it turned out he was a Blackhawks fan. On that return flight, I left 7am Sunday morning Winnipeg-time and landed about 8am Vancouver-time, more than enough time to get to church early by transit. 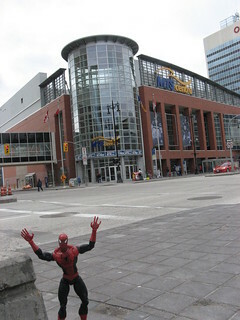 I GOT TO GO INSIDE THE MTS CENTRE. WHAAAT! I have a lot of posts I need to finish. Ideas swirl in my head and I'll start to write them, but I tend to put them on the back burner. Some of them date back as far as two years ago. Hopefully I'll get around to them soon. EDIT: I just noticed I've been getting a ton of hits on my old October 2005 posts, which started two days ago. A large majority of these visits have been coming from the Middle East, but Syria in particular. Can someone enlighten me? Who is linking me from Facebook? Gas hit a a high of 149.9¢/litre a few weeks ago, and then went down to 145.9. In Chilliwack, it was 10¢ cheaper. Apparently the Lower Mainland pays 49¢ in taxes for gasoline. In Winnipeg at the start of June, it was about 138.9, while Vancouver's gas was in the mid 140s. It's currently fluctuating between 139-140ish.